At E.A.T. South, we love our downtown Montgomery home and all of the people who make our farm and our community a better place. Recently, we sat down with Natilee McGruder, long time E.A.T. South champion, current board member and organizer of this year’s Southern Sustainable Agriculture Working Group Conference that kicks off today in Little Rock, Arkansas. Caylor: Hi Natilee, please introduce yourself and tell what you want us to know about you. Natilee: I’m a Montgomery native who has returned home after ten years away--I left at 17 and came back at 27. I have enjoyed getting to know my city again, and E.A.T. South has been a big part of the work I have done since I’ve been back home. Caylor: Tell us more about how you have been involved with E.A.T. South during your time in Montgomery. Natilee: I started out as a volunteer with the Food Policy Council. Then I joined the Executive Committee of Food Policy Council and the E.A.T. South Junior Board. After that, I became the Director of the Food Policy Council and joined the regular E.A.T. South board. In addition to those things, I’ve helped as a Good Food Day volunteer, teaching about compost primarily, and in general helped with the events and fundraisers that E.A.T. South has put on over the years. Caylor: What are you working on now? 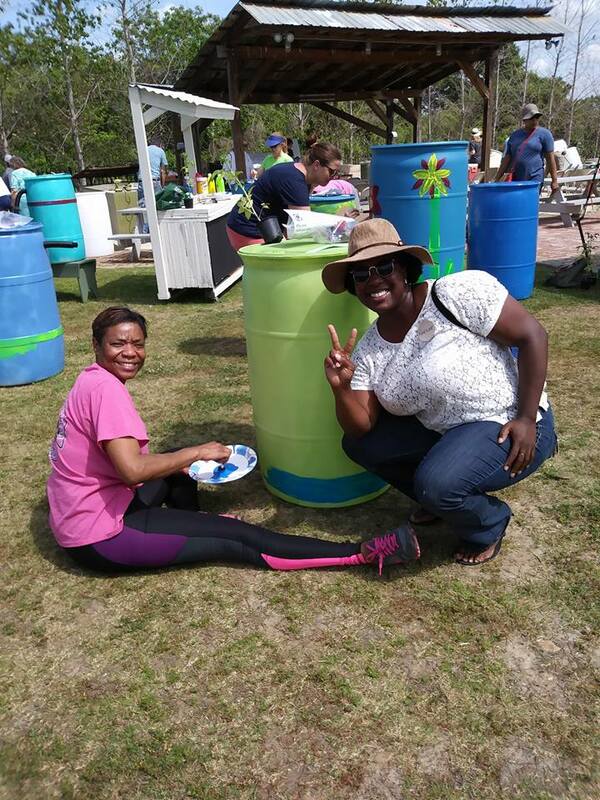 Natilee: Currently, I am the Education Program Coordinator for the Southern Sustainable Agriculture Working Group (Southern SAWG), a regional sustainable agriculture conference that represents thirteen states in the south. We have 1200 farmers who come to our conference every year to learn about things like organic pest control management to issues like food justice and food policy. I also teach a parenting class with my Mom, Sandra McGruder, called the Parent Project. This class is a learning experience and support system for Montgomery parents whose children are in the juvenile justice system and is funded by the County. Caylor: What has been something surprising that you learned working on the conference? Natilee: I didn’t realize how much work it takes to put on a successful conference, how many moving parts you have to keep straight and how much time you have to spend convincing people to respond to your calls and emails! Caylor: Southern SAWG is in Little Rock this year. If someone in Montgomery was curious about future conferences, what would you say to persuade them to go? Natilee: If they are looking for a community and looking to connect with more than just farmers in their area, if they want to find a like-minded support system, they should make it going to Southern SAWG a priority. Caylor: What are you most looking forward to at the conference? Natilee: I’m most looking forward to the People of Color in the Movement session where many Black farmers and farmers of color gather for a crowd-sourcing exchange session. It’s different from a general presentation. There is no agenda or panel--the people in the room get to meet each other and share what’s on their minds on a particular topic. There are other exchange sessions like one on the future opportunities for southern farmers in Hemp or the Urban Ag Education session that will be co-facilitated by E.A.T. South and Jones Valley Teaching Farm. Caylor: Last thing, taking us back to E.A.T. South. Why do you think people should support E.A.T. South? 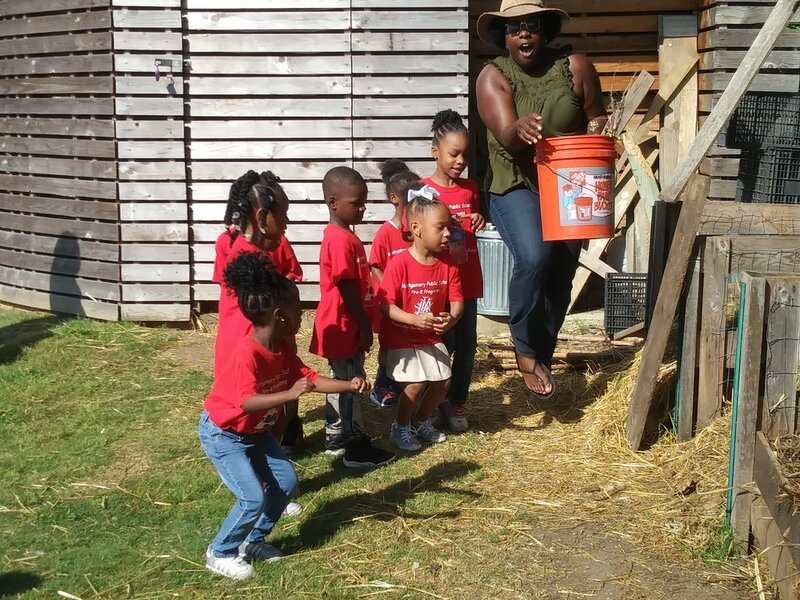 Natilee teaching children about compost. Natilee: People should support E.A.T. South because it is so important for children and adults to have exposure to the natural world, to something that touches us every day--eating food. Natilee: In general, i would say that we have to support the systems we want to see. That’s my encouragement to everyone.